Wait, What! Kapil Sharma Asked Archana Puran Singh to Replace Sidhu on His Show? The Kapil Sharma Show has always attracted controversies be it was the flight fight or actors quitting his show. Last March, Kapil, allegedly drunk, is accused of hitting Sunil with a shoe on a flight to India from Melbourne. After Sunil's (Gutthi and Dr Mashoor Gulati) exit, his other co-stars Ali Asgar and Chandan Prabhakar (Chandu) also left. However, Chandu returned to the show a couple of months ago. And now, the cricketer turned politician, Navjot Singh Sidhu has joined the brigade. Wait! Before you feel pissed off with any speculation, let us make it clear, Sidhu is not able to make his presence felt for few episodes due to ill health and to justify his absence, actress Archana Puran (Singh) has replaced our Punjab Tourism Minister on “The Kapil Sharma Show”. The actress has a say on her replacement, "It feels weird sitting on Sidhu Ji's chair as we all are so used to seeing him on this throne. Kapil called me the same day of the shoot and I couldn't say no to an old friend as we go back a long way,"
She further added, "I'm here only for a few episodes, once Sidhu ji is fit and fine, he will take over his throne. I will miss the show when he comes back and I'll always be waiting for Kapil to call me to come again on this show,"
Kapil and Singh were earlier seen together on the same channel in a TV show called as Comedy Circus. 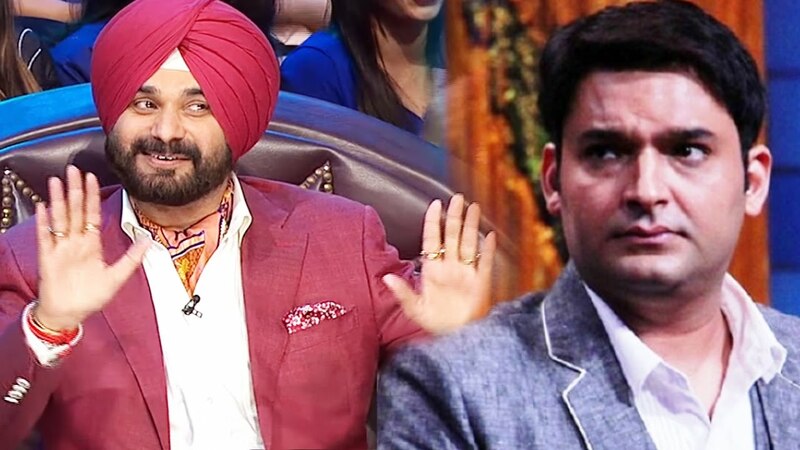 Sidhu is associated with The Kapil Sharma Show right from the start and enjoys a great rapport with the entire crew. When everyone was leaving the show, only Sidhu was among the handful who stuck with him. He also managed his political and TV career amidst controversies regarding his duties.